How much do Sharks suites cost? 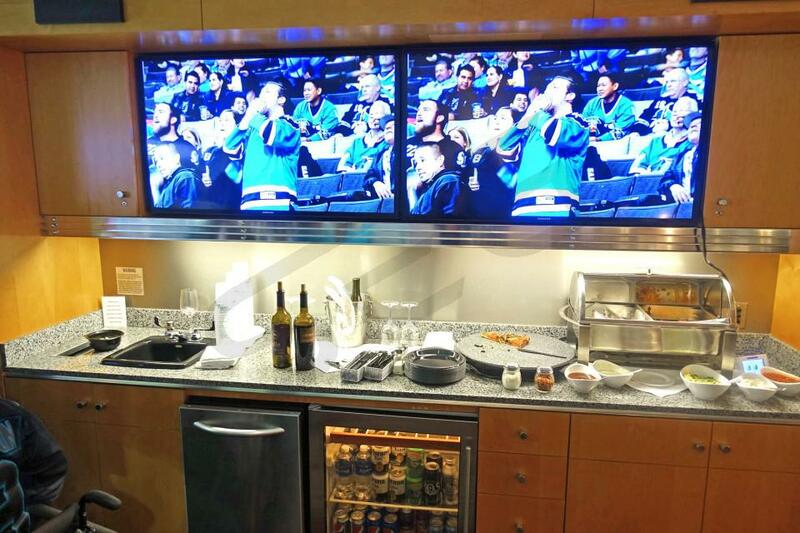 San Jose Sharks Sharks suites will start at $3,500 for a regular season game. Suite pricing for a Sharks game will vary based on day of game, opponent, and the location of the suite inside the SAP Center. For concerts and family events at the SAP Center, luxury boxes could start at as low as $1,700. Depending on the event and performer, the price could go up towards $8,000. Overall, Penthouse Level suites at the SAP Center will be less expensive than Concourse Level suites. A San Jose Sharks Penthouse Loft suite will be located right above the 200 level seating sections. For a Sharks game, you will receive 12-14 tickets and 4 VIP parking passes. There's an option to purchase up to 6 additional tickets. The seating configurations inside this Sharks suite will consist of two rows of six seats outside of the suite with bar stools and lounge seating inside. In-suite catering is available to purchase in advance so that you can experience the suite life at the SAP Center as soon as you arrive. Tickets will also grant you admission to the Comerica Club. 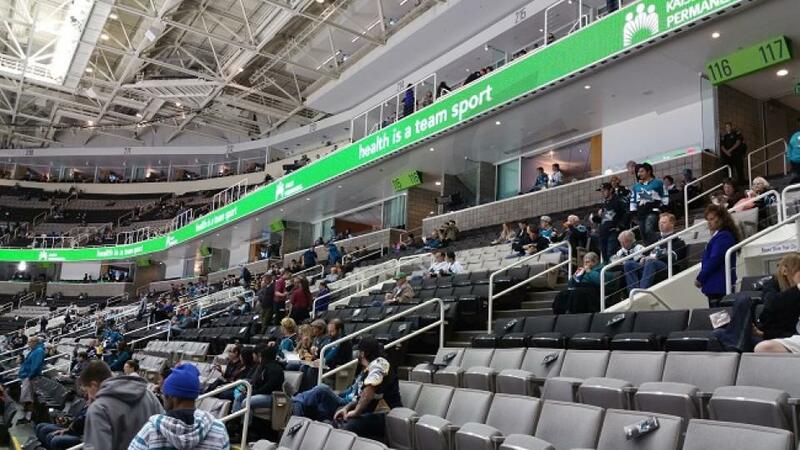 The San Jose Sharks Concourse suites are the lower of two suite levels at the SAP Center. These suites are going to be right above the 100 level seating sections. For a Sharks game you will receive 12 tickets and 4 VIP parking passes. There's an option to purchase up to 6 additional tickets. In-suite catering is available to purchase in advance. so that you can experience the suite life as soon as you arrive. A Concourse suite has one row of 12 seats with bar stools and lounge seating inside the suite. The 2016-2017 San Jose Sharks were able to qualify for the Stanley Cup playoffs yet again, but were unable to defend their Western Conference title, disappointingly falling to the Edmonton Oilers in the first round. However, don't expect this team to go away any time soon; these Sharks will be chomping at the bit to hoist the Stanley Cup in 2017-18. The tandem of Brent Burns and Joe Pavelski will continue to lead the team as they did last season, scoring 76 and 68 points, respectively. Defenseman Marc-Edouard Vlasic and Burns form one of the best defensive duos in the NHL. First-year Sharks Mikkel Boedker and David Schlemko had productive seasons on the ice. The Sharks toughened up their backline by adding tenacious former Flames forward Brandon Bollig in a one-year deal. Now that head coach Peter DeBoer and his new system have settled in, the Sharks look primed to remain relevant for years to come. 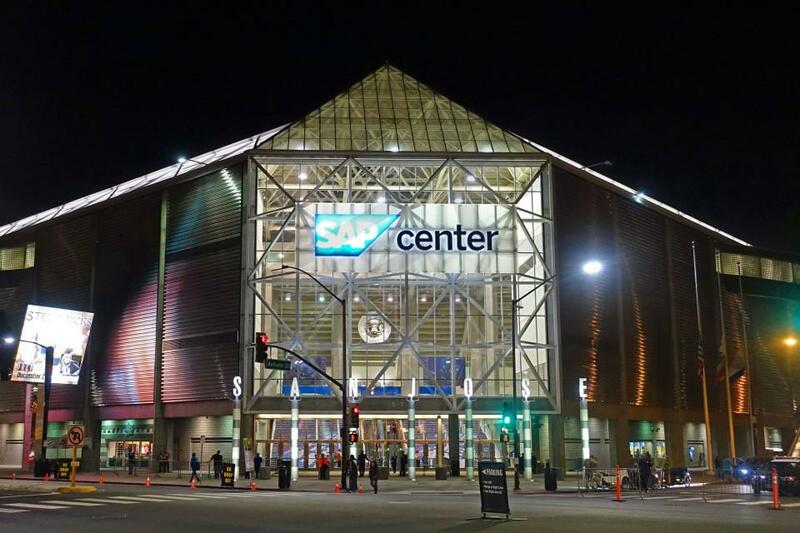 The SAP Center, better known to Sharks fans as the Shark Tank, is one of the most exciting places to watch NHL hockey. Private suites at the SAP Center provides the perfect setting for entertaining clients, employees or having fun with friends and family. There are two level of luxury suites at the SAP Center including Concourse suites and Penthouse suites. Both suite levels will feature first-class amenities such as HDTVs, Wi-Fi, upscale furnishing, interior lounge seating, exterior premium seating and a dedicated suite attendant for any game day necessities. In advance to your game, you also get your luxury box fully catered. Other amenities included with a Sharks suite include VIP parking, exclusive access to private clubs and private entry into the SAP Center. Suites will come 12 tickets with an option to purchase up to 6 additional tickets. Concourse suites are going to wrap around rink and be located above the 100 level seating sections. Penthouse suites are located above the 200 level seating sections. Both suite options offer an unforgettable VIP experience at the Shark Tank. Find out if the Sharks have what it takes to get back in the Stanley Cup Finals and this year, think about renting a skybox suite for one of the games. Experience Sharks hockey in VIP style! After reaching the Stanley Cup Finals last season, the San Jose Sharks are chomping at the opportunity to raise the Stanley Cup in 2016-17. The SAP Center, better known to Sharks fans as the Shark Tank, is one of the most exciting places to watch NHL hockey. 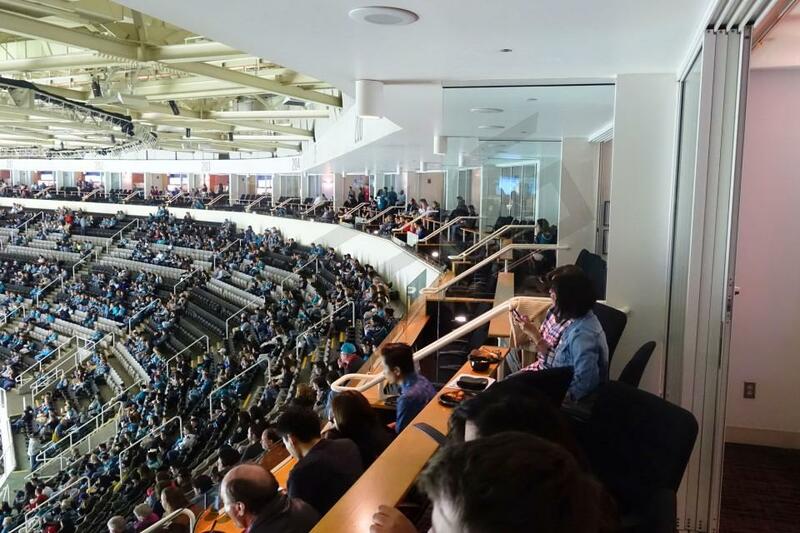 Private suites at the SAP Center provides the perfect setting for entertaining clients, employees or having fun with friends and family. There are two level of luxury suites at the SAP Center including Concourse suites and Penthouse suites. Both suite levels will feature first-class amenities such as HDTVs, Wi-Fi, upscale furnishing, interior lounge seating, exterior premium seating and a dedicated suite attendant for any game day necessities. In advance to your game, you also get your luxury box fully catered. Other amenities included with a Sharks suite include VIP parking, exclusive access to private clubs and private entry into the SAP Center. Suites will come 12 tickets with an option to purchase up to 6 additional tickets. Concourse suites are going to wrap around rink and be located above the 100 level seating sections. Penthouse suites are located above the 200 level seating sections. Both suite options offer an unforgettable VIP experience at the Shark Tank. The 2016-17 San Jose Sharks feel like they have another Stanley Cup run in them. They will again lean on their leaders Brent Burns, Joe Pavelski and Joe Thornton. Logan Couture missed half the season last year and is expected to be at full strength. While the Sharks got off to a slow start last year, they really adapted to the new system head coach Peter DeBoer installed in the second half. In 2016-17, the Sharks are the favorite to win the Pacific Division and represent the Western Conference. During the offseason, the Sharks made two notable additions. To help with defense and speed, they signed Mikkel Boedker and David Schlemko. Both of these players were considered big pick-ups for the team. Defenseman Marc-Edouard Vlasic and Burns are arguably the best defensive duo in the NHL. Goalie Martin Jones did a fantastic job in his first year as a full-time starter between the pipes. Tomas Hertl was resigned and the Sharks are really hoping Hertl can stay healthy and be a force on the offensive side of the ice. Joonas Donskoi had a breakout year as a rookie and excelled during the postseason. Patrick Marleau continues to find ways of getting the puck in the net. Find out if the Sharks have what it takes to get back in the Stanley Cup Finals and this year, think about renting a suite for one of the games. 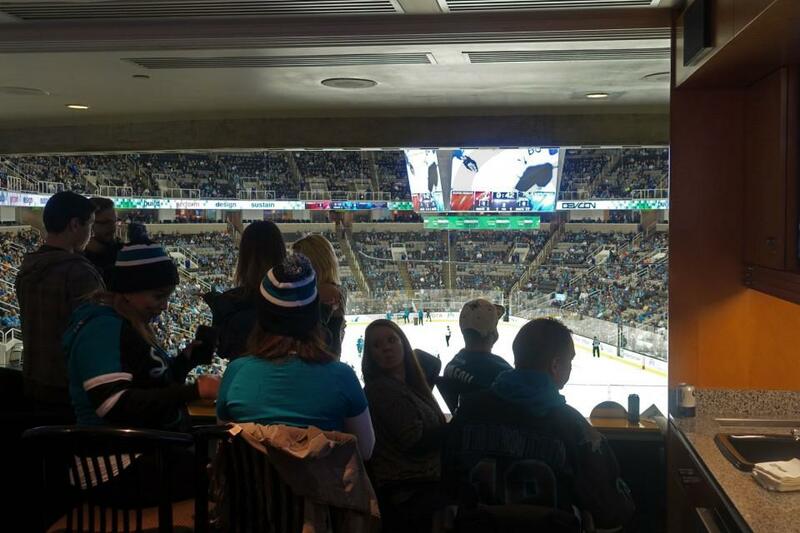 Experience Sharks hockey in VIP style! The San Jose Sharks are celebrating their 25th season in the NHL this year. In 2014-15, the Sharks ended their 10-year playoff streak. Joe Pavelski led the Sharks in goals and points. Joe Thornton led the squad in assists. In 2015-16, the Sharks can become relevant again real fast. They’ve added Martin Jones, Paul Martin and Joel Ward. Thornton and Patrick Marleau both are aging stars will push hard for one last shot at the Stanley Cup. Emerging star Logan Couture enter the prime of his career with high expectations this season. The Sharks will also look for Tomas Hertl to break out after showing signs of stardom in his rookie year. Last year, Hertl hit a sophomore slump but played in all 82 games. Jones will be replacing Antti Niemi in the net this season. Jones was acquired in a trade with the Bruins after the Sharks traded Niemi to the Stars. The Sharks will also have a new head coach in 2015-16. Peter DeBoer takes over for Todd McLellan. DeBoer was previously the head coach for the New Jersey Devils. The SAP Center also known as the Shark Tank is one of the most exciting places to watch NHL hockey. Private suites at the SAP Center provides the perfect setting for entertaining clients, employees or relaxing with friends and family. A Sharks suite will feature first-class amenities such as HDTVs, Wi-Fi, upscale furnishing, interior lounge seating, exterior premium seating and a suite attendant. 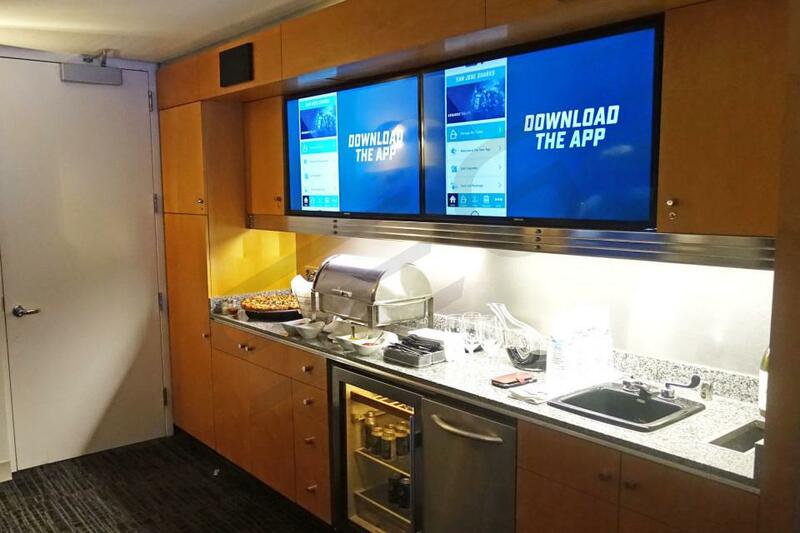 You can also get your luxury suite full catered. Along with a Sharks suite, your will receive VIP parking, exclusive access to private clubs and private entry into the SAP Center. The San Jose Sharks continuously prove they’re one of the NHL’s best regular season teams. Without too many major changes in the roster this offseason there’s little reason to expect any different than another postseason appearance by the Sharks in 2014-15. The biggest news has been removing Joe Thornton of his captaincy. Thornton though is still one of the team’s biggest stars along with fellow veterans Patrick Marleau and Joe Pavelski. General Manager, Doug Wilson told fans to expect the younger players to be given a chance to play this season. Which means Tomas Hertl and Matt Nieto could be taking on full-time roles on the team. Behind solid defense and decent goaltending the Sharks will compete once again for a chance at the Stanley Cup. 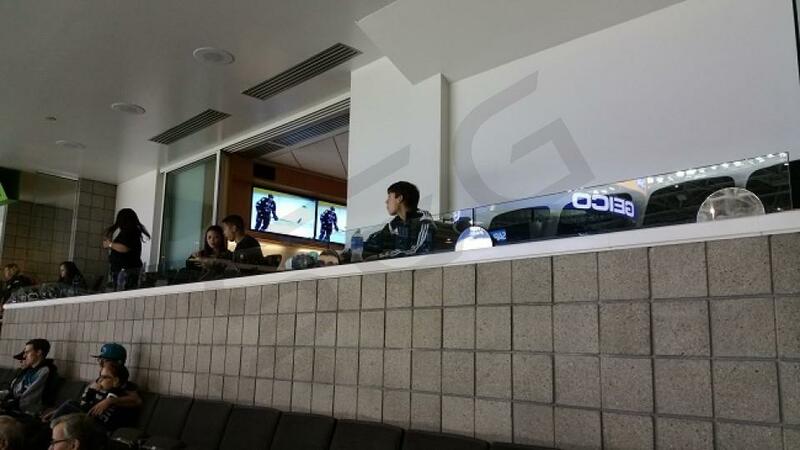 You can watch your favorite Sharks players from a private luxury suite at the SAP Center. A San Jose Sharks luxury suite provides groups with a private-setting for business outings or parties with friends and family. Your group will get to choose from premium in-suite catering options and get exclusive access to the SAP Center’s VIP clubs. Thank you for signing up for specials at SAP Center. Enter your email address below to stay in touch. We'll sign you up for our newsletter, which will inform you of the latest inventory and events at SAP Center. We promise we will never sell or distribute your information. 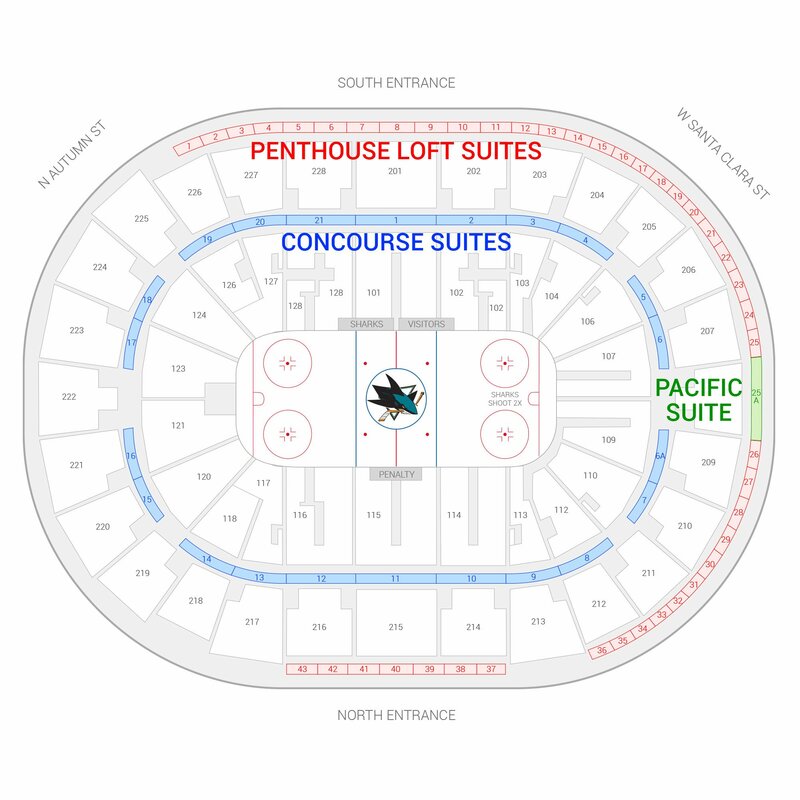 The seating chart below shows where the San Jose Sharks suites at SAP Center are located.